SEMpdx is hosting our annual Holiday Party! Join SEMpdx and our local partners pdxMindShare, Mac’s List, IABC, OEN, and AMA after work on Thursday, December 13, 2018 to celebrate the holiday season by eating, drinking, and partaking in good conversation. Light appetizers will be provided, and there will be a no-host bar. Extra special thanks to Brandon Bowden and the awesome team at Spirit of 77 for donating food for our event. Thank you so much! FREE to All, RSVP below! During the Holiday Party, SEMpdx is holding a raffle to raise money to benefit our annual Charity of Choice – SMART (Start Making A Reader Today). If individuals or companies want to donate an item to be raffled off to support SMART please complete this form. We’ll definitely highlight you (and your company) during the event. Each year, SMART reaches thousands of Oregon children with vital one-on-one reading support, and books for those who need them most. Digital & Print Advertising Solutions – More targeted results, within your reach! Oregonian Media Group offers a full suite of digital and print advertising solutions to generate more leads, build your brand and increase sales. Connect with the audience that’s right for your business, wherever they are. With over 3.9M unique visitors, and 25M page views per month, OregonLive.com can deliver this audience. Combine that with the Pulitzer award-winning, The Oregonian, and you have the largest, most trusted media company in Oregon. We make it easy to reach the customers your business needs to grow. Portland is home to some of the most creative and innovative marketing professionals in the nation, working with businesses that include local start-ups, globally-recognized brands, and everything between. AMA PDX brings together these professionals, from across Portland and the surrounding areas, through valuable professional development events, networking opportunities, and monthly luncheons. 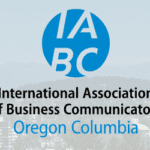 The Oregon-Columbia chapter of the International Association of Business Communicators offers professional development and networking opportunities that advance strategic value as a communications professional within organizations. OEN helps entrepreneurs start up and scale up by connecting them to peers and mentors, startup funding opportunities, and hands-on training. A nonprofit, membership-driven organization with a 27-year track record, OEN is Oregon’s only organization that supports scalable startups from every industry across the state. Back in 2001, Mac Prichard started emailing job openings to a few dozen friends and colleagues. He wanted to keep in touch and share great work opportunities that he had found. Today, Mac’s List has grown to an online community of over 45,000 people. Become a sponsor of this great event! 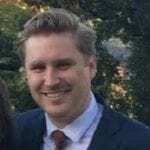 Contact the SEMpdx Sponsorship Team. Very limited free parking in the shared lot, but plenty of metered street parking around the venue. Portland Streetcar stops are 1-2 blocks away (CL Line), MAX stops are 1/4 mile north at the Oregon Convention Center, and the #6 bus runs on MLK Jr. Blvd. & Grand Avenue. SEMpdx urges all attendees to be safe and use a rideshare provider like Uber or Lyft. thank you for putting this on.